If you’re the type that thinks a Japanese inline-4 doesn’t offer enough fun and an Italian brute is just too expensive, the KTM is the alternative that you might be looking for. 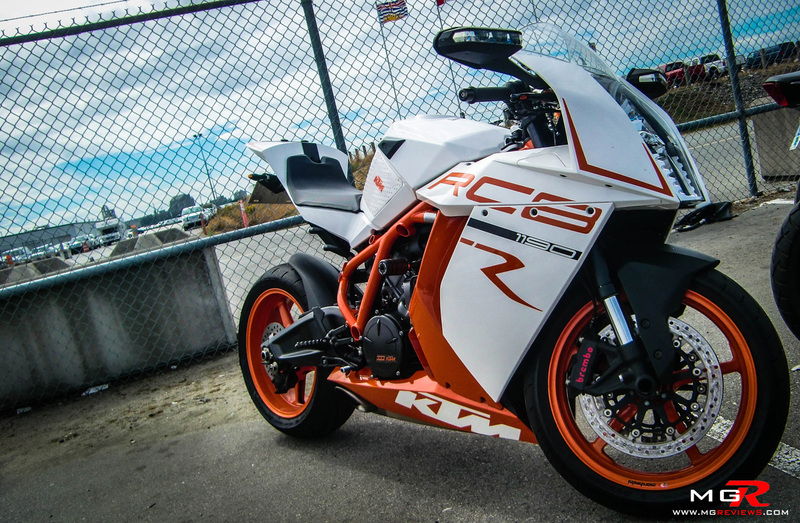 KTM is an Austrian company known for making off-road motorcycles and track specific vehicles but once in awhile they also make crazy fast street motorcycles. This 1290 Super Duke R is loosely based on the RC8 superbike but it’s had some major modifications to make it one of the fastest naked motorcycles on the road today. When it comes to corners, it continues its street dominance. It takes very little effort to get the bike to turn into a corner. The slim design and lightweight handlebars give you the confidence to almost throw the bike into corners. Keeping it steady throughout the corner and as you exit may be a bit more tricky. The handlebars continuously require input from the rider to keep a clean line and if you’re too overzealous with the throttle, the massive torque from the engine can easily spin up the rear wheel as you exit a corner. But thankfully traction control is there to save you… in most situations. Braking is a breeze on the Super Duke thanks to a pair of Brembo 320mm discs up front and M90 calipers. You can apply a fairly violent braking force with just one finger on the brake lever. Brembo has done an amazing job with their M50 calipers whether they be on this KTM or a Ducati or a Triumph.